"Deep within Piltover's city lies the archives- a collection of the greatest works of literature, art, and creativity this city has ever seen. Every few decades, on the eve of Progress Day, the archives open. Authors, painters, and everyone in between comes forth to submit something in hopes that they too can enter..."
In celebration of The Grand Heist of Zaun releasing, I'm holding a contest for all sorts of content creators alike. For this contest, you'll be tasked with creating something unique with the only rule being that it must be related to Piltover or Zaun! For this contest, entries will be divided into three categories. For all categories, you must make a unique entry specifically for this contest. Grab your quill and jot down a tale of either city. While this contest is global, entries MUST be in English as well as contain a word count of no more than 1000 words. Be it a comic, sketch, splash art or otherwise, your art can shine through! This category is for 2D art and should include a small paragraph explaining your piece if it’s particularly deep. A master of music? 3D modeler? Maybe you weave baskets underwater? This category is for everyone who might have a unique talent to show off! Anything goes! What would a contest be with judges? For this contest I reached out to some amazing content creators in the League community to help pick out which entries stand out above the rest! I'm an artist, illustrator, comic creator, character designer, webcomic creator, and YouTuber creating videos about storytelling and visual design. I've been part of the League of Legends community since season 2 and created a ton of fan-works and even a few official collaborations with Riot, especially around the esports scene. I am a concept artist, comic book artist and a physics student. Worldbuilding and character creating mastermind! I specialize in juggling macro picture with details, and have many comics in the works; three of them being based on old champion lores from League. I'm a concept artist, illustrator, and a teacher with a focus in character and creature. A graduate of Art Center College of design, I have worked as a contractor in animation and in games . Creating new things and experimenting is a passion of mine . Also the winner of third place for illustration in Polycount's Riot Creative Contest 2017. 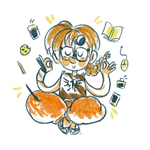 I'm Fran, I'm a comic artist and children illustrator and my superpower is making everything look as if it's made out of candy and jelly beans! I am the hand behind Riot's Community Comic Crystal Quest and I have a thing for big guys and bigger hammers. I'm a newbie freelance artist who likes to do illustrations! If I'm not doing art, I'm usually just playing games like League, Yakuza or Pokémon! What would a contest be without prizes? For this, Riot was gracious enough to help out and provide some amazing bonuses for the winners! In addition, this will be an evolving prize pool! For every 25 entries, Riot will be personally adding 650 Riot Points to both the grand prize pool and the runners up! I'll announce milestones as we get closer to the end. You have until November 29th at 11:59PM EST/8:59PM PDT to submit your entry. When you're ready to submit, go to the Contest Submission Form on Google. (Check the pinned comment below!) Your entry should either be in a link format or a download format, as well as your Summoner Name, Email and Region. Good luck, and have fun with your creations! 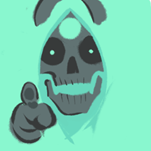 "So when you say Piltover or Zaun..."
Your entry should be related to either area, but the judges aren't sticklers! Want to use a Piltover or Zaun champion? Go for it! Maybe you liked a character in Grand Heist of Zaun? You have permission? You can also create your own character, provided it's related to the cities! "How will I get my notebook? You're not asking for my address!" Once winners are decided, their information will be sent to Riot for prize distribution! Don’t worry, they’ll keep your info safe. "Nice try, you're just trying to get free art!" All art, writing and more you do belongs to you! Post it on boards! Share it on Twitter! Pitch your Deviantart! Try to get Reddit to look at it! Your work is yours and won't be used for any commercial or monetary gain. "Can I work with someone?" While you can seek advice and feedback from non-judges (Might I recommend the Creative Discord for boards? ), entries should be done by you and you alone. After all, you're only getting one prize for winning! "I have a question not listed here!" Leave a comment, ask me on the discord, or reach out to me on Twitter! Fan writer and boards archivist who puts perhaps WAY too much work into fan lore.